I have just started to learn to dance salsa and other Latin dances.To improve, it is important to learn about the various types of music and the timing when learning new dances.I have asked many people what groups and CDs I should purchase to expand my knowledge of Latin dance music.Invariably, they recommend Juan Luis Guerra and specifically, Bachata Rosa.This CD is accessible to people who are new to Latin music.In addition, there are various tempos and styles of music on this CD, from salsa to bachata.I highly recommend this CD to novice and experienced Salseros, and anyone who is interested in experiencing Latin music. I amenjoying this item to the utmost...It is a beautiful cd...I love the singer's style! Ay, Juan Luis!Que talentoso y bien bonito, tambien! 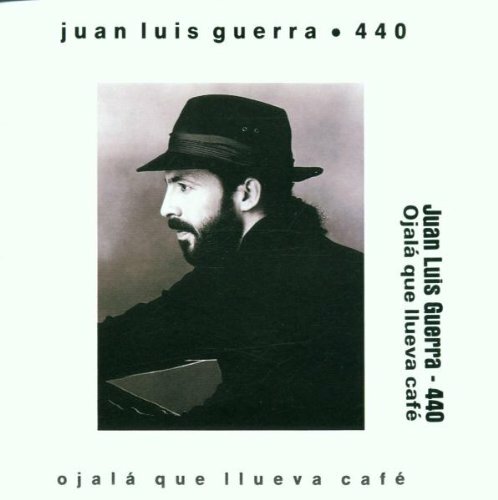 I was introduced to this album several years after its initial release.Juan Luis Guerra y 4.40 has always been one of my favorite bands hailing from the Dominican Republic.The level of sophistication they add to their music is unmistakable.They are one of the more polished, well arranged and catchy bands I have heard.I only wish their music was played in the salsa clubs of Seattle.I guess I have to head to the East coast for that! It's missing the best song of all - "Reina Mia!" 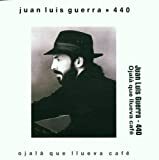 a GREAT compilation of hits from Juan Luis Guerra y 4.40! For those of you unfamiliar with Juan Luis Guerra's music, this is a great opportunity for you to hear this wonderful man!He is considered one of the most beloved singers/songwriters/poets of the Dominican Republic.We are so lucky that he put his poems to song.Not only is he the king of el merengue (a popular dance music from the Dominican Republic). but he also showcases his abilities as a singer and musician in bachata (a slower, more sensual dance music), and ballads.He fuses traditional Afro/Latin rhythms with jazz and pop.Some great examples of this sound include "Frio Frio" (ballad), "Como Abeja Al Panal" (a combination of salsa/bachata/ballad), and "Rosalia" (just a great, energetic song!). 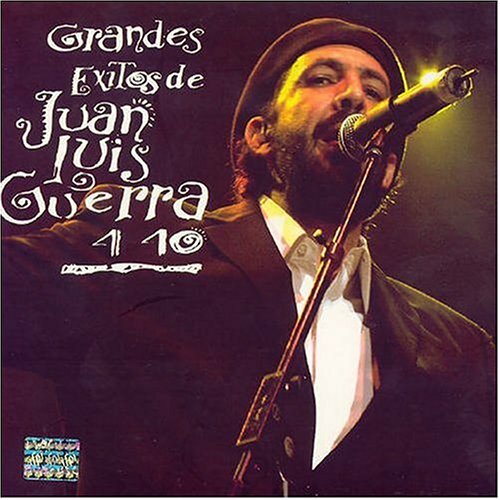 Juan Luis Guerra is simply brilliant. This album brings back some of the best memories from my high school/college years in Venezuela. These songs were so popular that nowadays are considered standard hits. They are guaranteed to make you dance and sing, no matter how hard you try to stand still!! too bad there are no lyrics with it... there is actually nothing on the cover except a picture of Juan Luis Guerra, his name and the name of the album. Not a reason to dock this CD... but I guess lyrics would have beennice. I purchased this cd in 1993. I would say that this release is one of the most underrated works of the early 1990's. The songs are beautiful and thought provoking. The beginning of the song "Ayer" was on my voice mail for years! If you can't buy this new, buy it used, it's worth it!! The Dominican Republic's genius musician, Juan Luis Guerra combines the passionate poetry of Pablo Neruda and the stylistic vocal qualities of Sinatra.Singer extraordinairre and interpreter without comparison in either Spanish OR English, Guerra glides through these songs as if on angel's wings.His songwriting skills form an arc of wit, tragedy and love that can leave the listener dumbfounded, while his percolating rythms are beyond comparison in their clarity and emotion. "Arieto" shows why Guerra has been both muse and celebrity, a subtle mix of pure talent, gut-wrenching lyricism, and raw talent.These songs are among his brightest work ever - from the lilting "Frio Frio" to the string-filled, symphony-inspired "Cuando Te Beso" the artist is in top form throughout.Several classics also emerge.Among them, "Rompiendo Fuentes" - an underheard hoot that pays homage to a pregnant wife about to give birth - and, "El Costo De La Vida" a stunning indictiment of poverty and the abuse of power.Whether political or romantic, simplistic or majestic, Guerra manages to reach deep within his heart, delivering impassioned messages that transcend music as an art form, and bring it to life. From a picky listener, this CD gets 5 stars, and I would give it more if I could. I'm a native English speaker and have been into Carlos Vives and Bacilos (check 'em out) for a little while, but was having trouble finding any really great latin music out there. 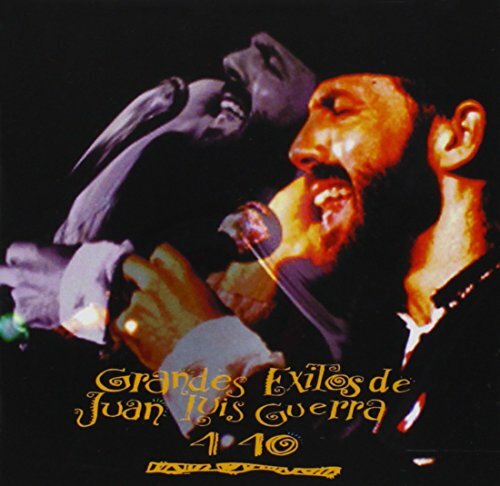 Then I found Juan Luis Guerra, and was hooked from the very first song sample from "No es lo mismo ni es igual". 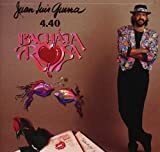 If you want to listen to latin music but the mainstream pop bands like Sin Bandera, etc., don't make the cut for you, try out this wonderful CD of JLG, full of influences of his native country. The songs on this CD are both catchy and culturally rich, a wonderful combination that can be hard to find. O melhor ï¿½lbum de JLG! "Ni es lo Mismo, Ni es Igual" ï¿½, sem dï¿½vida, o melhor ï¿½lbum de Juan Luis Guerra. Cada uma das 11 faixas do CD prova o seu perfeccionismo quando ele faz mï¿½sica. 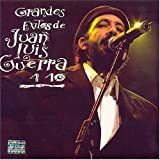 I waited weeks for this album to come in from the library and it was well worth the wait.Juan Luis Guerra is truly in a class by himself.He has a clean and beautiful style.It is a great combination of clean percussion and a beautiful, romantic voice.Mr. Guerra also has a great sense of humor and a beautiful poetic style as a songwriter. This CD claims to have the "best music you've never heard." It's not one of Putumayo's best. 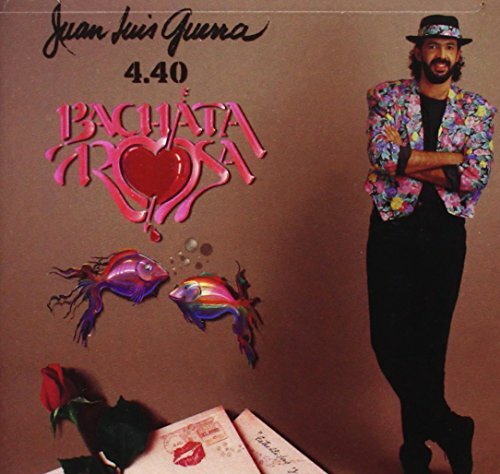 "Tranquila","Pegao de Que","Anoche","Immenso Amor"&"Lo Que Paso a Juan" are catchy tunes;each one unique. "Tranquila" counts as Latin easy listening.Unfortunately,most of the tracks sound the same. This really is a great collection of (primarily) bachata songs, by a wide choice of great musicians, mixed with one or two more traditionally Dominican merengues. The songs are very well picked, excellently produced and combine a great latin feel of 'Ron y Baile' with the traditionally sensual, happy undertone of Bachata. So no, if you're looking for merengue, search elsewhere. If you're looking for a fantastic CD of great Bachata's, buy this CD and enjoy it. Great compilation of tracks from one of the best ever Merengue artists. Vargas mixes in other latin and Afro-latin influences to good effect. The first 4 tracks are all classics and there are many other good ones to explore throughout the rest of this CD. EVER SINCE THE WORLD SAW HIM AT THE AGE OF NINE HE HAS BEEN AT THE TOP OFTHE DOMINICAN MUSICAL FOOD CHAIN. EL MAYIMBE IS SIMPLY THE BEST. A TRUELIVING LEGEND. IF THERE WERE SIX STARS HE WOULD GET THEM. EXPECT ONLY THEBEST FROM THE ONLY ARTIST THAT EMBODIES DOMINICAN FLAVOR & FEELING. I believe if the authors of these songs had to choose someone to sing it for them, they would of chosen Fernandito Villalona. Noone can express the true passion in a song as well as he does. He is unique. All these songsare excellent and truly becoming of him. 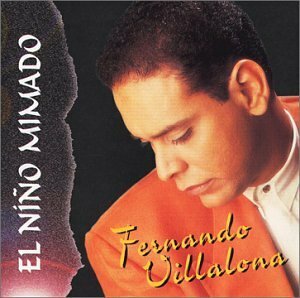 Never in a million years willthere be another Fernandito Villalona. He unequivocally is the one and only"Mayimbe". A true honor to all his fellow Dominicans. 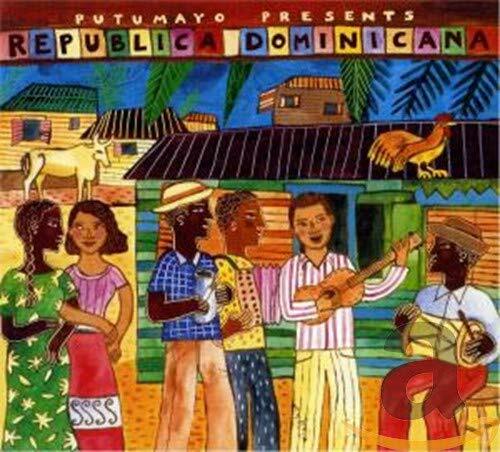 "100%puro oro nos da el mayimbe"
SABOR DE REPUBLICA DOMINICANA & PUERTO RICO! EXCELENTE!!! Sin duda alguna este es uno de los mejores discos de los ultimos tiempos. "Juntos" presenta a dos super talentosos artistas. 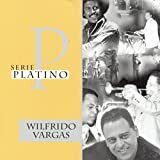 De PuertoRico, la talentosisima merenguera Gisselle y de Republica Dominicana uno delos mejores interpretes de merengue de los ultimos tiempos, el gran SergioVargas. 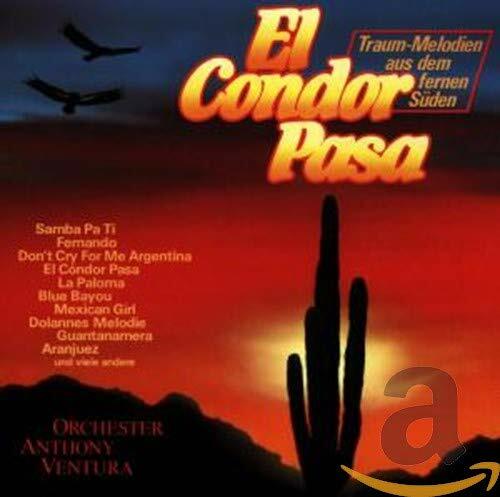 La idea de este CD es unica y bien refrescante. Gisselle interpretaexitos de Sergio Vargas tales como "La Pastilla" y "LoQuiero A Morir". Por otra parte Sergio interpreta algunos de losexitos de Gisselle como "A Que Vuelve", "Siempre Que Pasa ElAmor" y "No Es Mejor Que Yo". Para hacer este discomushisimo mejor Gisselle y Sergio cantan a duo un total de seis temas,entre ellos "Contaminame", "Nu Tu, Ni Yo","Corazon Encadenado" y "Apaga La Luz". 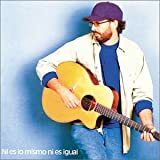 Este disco fueproducido y grabado en los estudios Midilab del maestro Manuel Tejada, queademas de trabajar con Gisselle y Sergio ha trabajado con artistas de latalla de Juan Luis Guerra, Milly Quezada, Jessica Cristina y Olga Ta?on,entre muchos otros. Este disco es uno que no puede faltar en tu coleccionde buena musica. 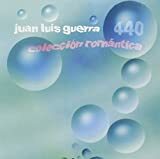 Tambien recomiendo otros de la misma calidad de"Juntos" como por ejemplo "Pasional" y "JessicaCristina" de Jessica Cristina, "Tesoros De Mi Tierra" deMilly Quezada, "Con Loco Amor" de Maldo y "Que Hable LaMusica" de Marco Hernandez. Now you know what LATIN is !!!!!!! Lo quiero a morir is the first song I heard by Gisselle.I wastaken in and bought the CD.This CD will keep you moving from beginigto end.There is not one dull song.Hear it and become part of the LATIN experience.Este CD es unos de los mejores que e oyido. Escuchen lo y disfruten. Great!!!! You Outta Hear It!!!!!! When Milly lost her husband and manager, "Hasta Siempre" became as a final good bye. The brilliant compositions with terrific arrangements and the emotion of her feelings are some ingredients of this premium album. Enjoy it! Republica Dominicana nos regalo la REINA DEL MERENGUE y ya es parte dePuerto Rico, Venezuela, Colombia, Estados Unidos y en todos los lugares endonde su grandiosa musica ha llegado. La Sra. Milly Quezada ha sido unagran inspiracion para muchas de las merengueras mas exitosas. Como porejemplo Jessica Cristina, Gisselle y Miriam Cruz. Todas se lo demostraronen el programa de Cristina Saralegui titulado "Las Reinas DelMerengue". Este disco de Milly es simplemente unico en su estilo. Losarreglos, los musicos, los coros y la voz unica de Milly. "HastaSiempre" fue la supuesta despedida de Milly de los escenarios, peroparece que se dio cuenta de ni ella puede vivir sin su publico y nostrossus admiradores no podemos vivir si ella. Luego de esta supuesta despedidaMilly Quezada lanzo dos maravillosas producciones "Vive" y"Tesoros De Mi Tierra". Los mejores temas del disco lo son"Lo Tengo Todo", "Quizas" y "Por Que MeAmastes". Este es uno de los mejores trabajos de la due?a y se?ora delmerengue. 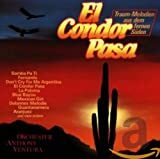 Si te gusta la musica de Milly te recomiendo estos CD's de otrasmerengueras: "Pasional" de Jessica Cristina, "MariaAlejandra" de Maria Alejandra, "Alma Morena" de Celines,"Estoy Buscando" de Beverly, "Devuelveme Mi Corazon" deFlorangel, "Mujeres Liberadas" de Melina Leon, "Como TuMujer" de Laura y "Quiero Estar Contigo" de Gisselle. Bomba 2000 es un disco ejemplar, todo lo que yo esperaba de un grupo tan exitoso como los Hermanos Rosario. En este disco los Hermanos Rosario han reavivado el ritmo golpeito de este genero musical que es algo tipico del merengue y que les hace falta a muchos grupos que lo cantan hoy en dia. Tambien, lo que me impresiono de este disco es el sabor criollo de las canciones. Si te gusta bailar o no, no importa porque una vez que escuches la musica te vas a levantar con ganas de mover el esqueleto porque el ritmo es muy bailable y ellos saben poner los ultimos toques a cualquier disco que tengan. Si pudiera les daria el premio galardon porque se lo merecen por un trabajo bien hecho. Mis canciones favoritas son: "Ya me libere", "Vidita mia","Hay algo en ti", "Que vengan todos", "Un beso y una flor" pero todo el disco es una BOMBA! REGRESAN CON SU NUEVA PRODUCCION LOS HERMANOS ROSARIOS--DEFINITIVAMENTE--BOMBA 2000!MEJORES TEMAS ..SIENTO--LOS CUEROS--ME TIENE LOCO--CINTURA DE FUEGO--UN CD LLENO DE MERENGUE AL ESTILODE UNA DE LAS MEJORES AGRUPACIONES--HERMANOS ROSARIOS..TAMBIEN RECOMIENDOLOS CD'S...GRUPO MANIA"MASTERS OF THE STAGE"2000 VECESMANIA---MANNY MANUEL"LLENO DE VIDA"Y TODOS LOS CDS DE LA CHICABOMBA----ASHLEY! Sigue el Swing - Manito!